L'Occitane advent calendar 2016 - out now! I know it’s only just October, but I can’t resist posting about the amazing L’Occitane advent calendar which has just arrived. Plus, it’s gone on sale right now and always sells out, so no point waiting until December to show it off! 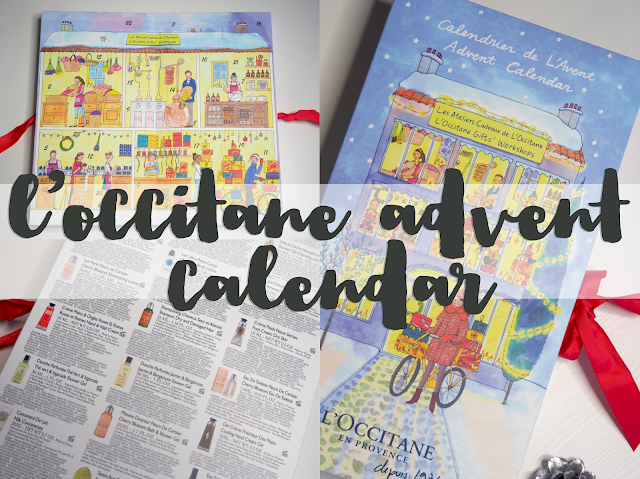 I was lucky enough to have the L’occitane advent calendar last year and really loved it – it kept me well stocked in hand cream, body lotion and shower gel for travel throughout the year. This year’s calendar has a similar festive scene design with jolly red ribbon, but the contents has had an upgrade. 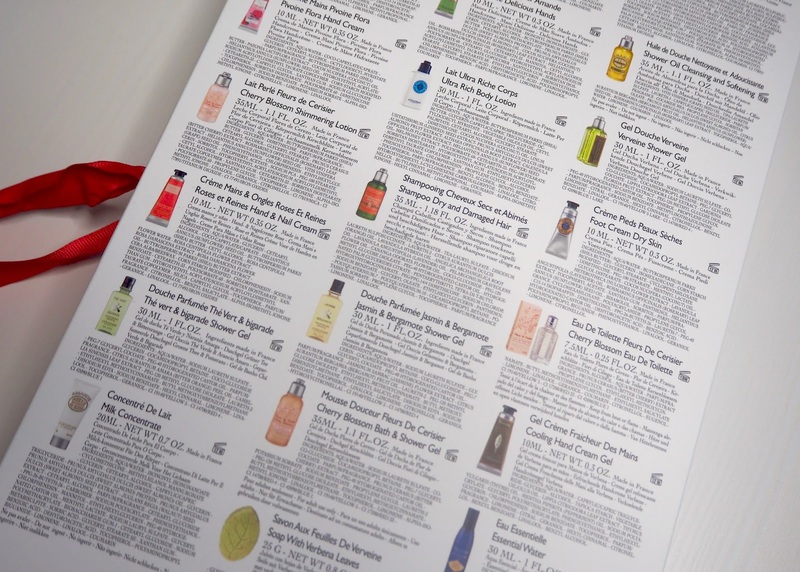 Last year some of the doors contained things like a cookie cutter or gift tags – cute and all, but I’d rather have had another mini almond shower gel instead! 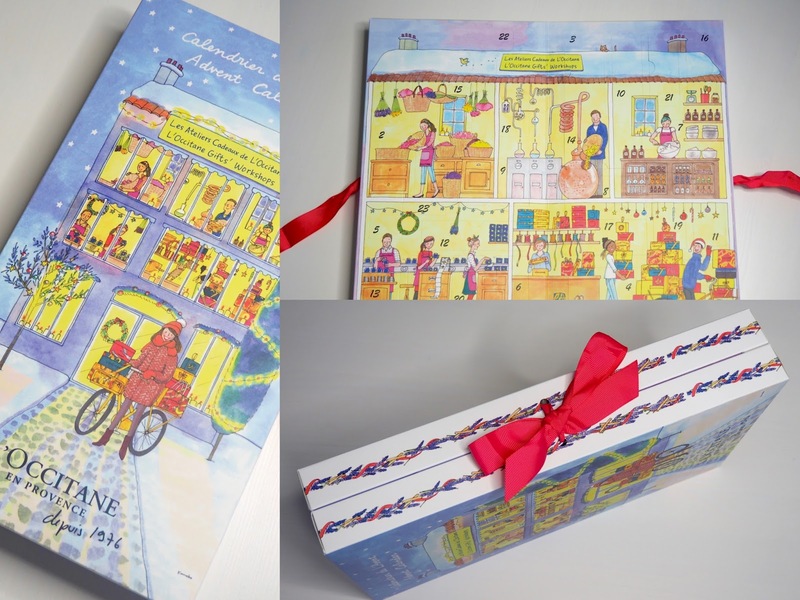 This year each and every of the 24 doors has a gorgeous L’Occitane product inside, so even better value for money in my opinion as the calendar is only £42 and the products inside are worth £80. 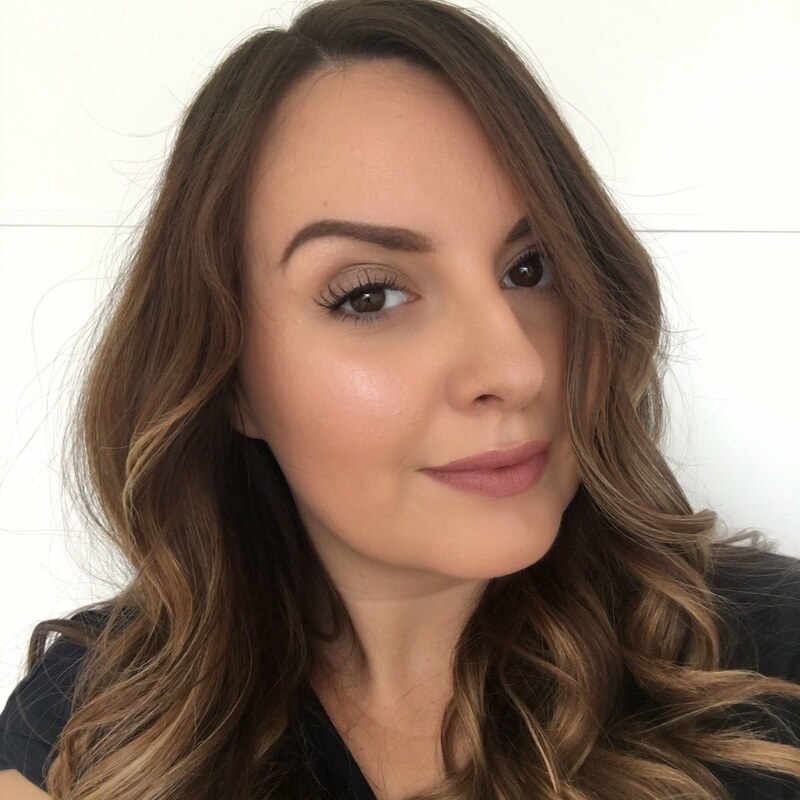 I’ve snuck open a couple of doors, you know, just for review purposes… not because I was dying for a sneak peek or anything! The doors I happened to choose contained Verbena Cooling hand cream, Delightful Rose hand cream and Ultra Rich body lotion and they’re good, deluxe sample sizes too. Now I’m about to show you the back of the box which reveals what’s inside, so scroll on by if you don’t want a spoiler! If you need to know exactly what you’re getting inside your advent calendar and don’t like surprises, then here’s the full list! • 50g Almond Delicious Soap. Amazing, right?! 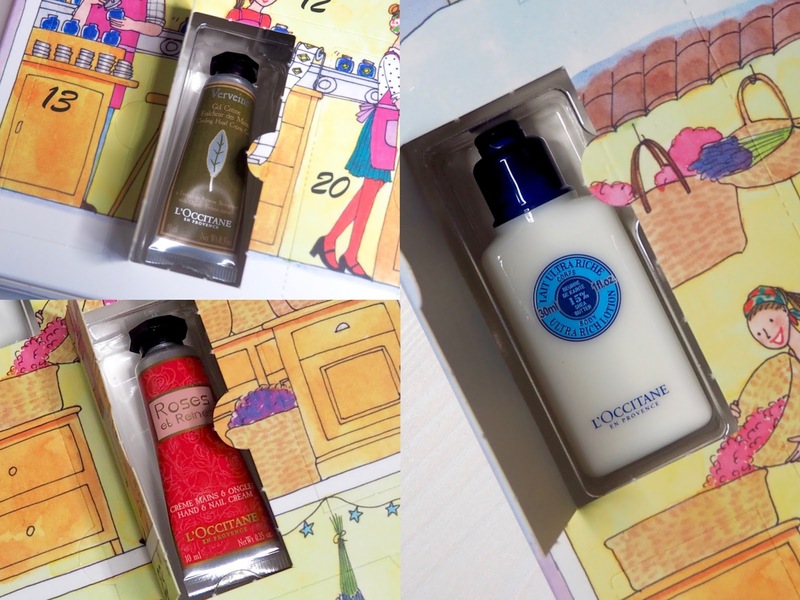 There are so many advent calendars out this year (I rounded up my picks of the bunch in this post last week) but I still think that this one from L’Occitane is one of the best – all of the products are ones I would use, and compared to the crazy prices of some calendars, this one’s a total bargain. Be quick if you want to grab one as it’s sure to sell out! The L’Occitane advent calendar for Christmas 2016 is available now at loccitane.com and costs £42.